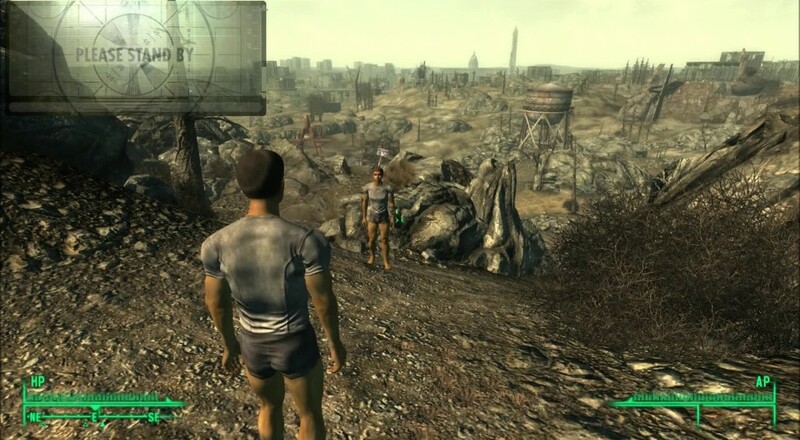 Wandering through the large, open world of Fallout can be a little lonely. Sure, you can drag along an NPC companion, but they will just stand in the line of fire, aggro deathclaws, and make you overprotective (looking at you, Dogmeat). NV:MP has a solution for Fallout: New Vegas PC players in a free mod that allows for multiplayer. Each player maintains their own quest log, although there will be one host player. For those with a need to kill, be cautious of murdering quest giving entities. Quest lines could potentially fail due to untimely NPC death while you are in the same area. Fortunately, refreshing or changing hosts should do the trick in order to reset them. VATS will be unavailable due to the technical problems of slowing time for multiple players. Inventory access, however, will freeze the character in place and render them immune to attack from other player's perspective. Items save to your forum account, but weekly server wipes will happen while the mod is in beta. To be a part of the beta testing for this mod, sign up here. Selected applicants will get an email and be able to jump into the Nevada wasteland in two weeks. Page created in 1.9226 seconds.